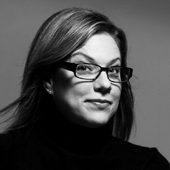 Linda Tischler is a senior editor at Fast Company, where she writes about the intersection of business and design. For the past several years, she has been responsible for the magazine’s October “Master’s of Design” issue, which celebrates the people in the forefront of design thinking. She also oversees design coverage and blogs on Fastcompany.com, where she launched the site’s team of expert design bloggers, including Debbie Millman. She has also written on art and design for Metropolitan Home, the Boston Globe, Better Homes and Gardens, and Maybourne Style, and held editing and writing jobs at the Boston Herald and Microsoft’s sidewalk.com.